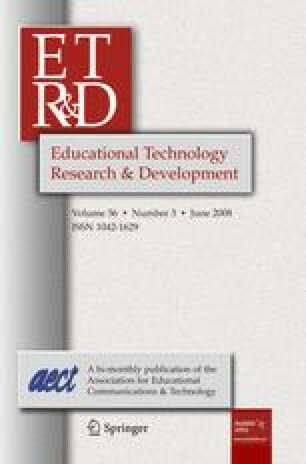 This study was designed to investigate the effects of teaching critical thinking skills (CTS) in a large class through asynchronous discussion forums (ADFs) with the facilitation of teaching assistants. A pretest and posttest quasi-experimental design with a comparison group was employed to validate the effectiveness of the proposed approach. The independent variable was the structured ADFs with two levels—without Socratic dialogues, and with Socratic dialogues, modeled and facilitated by the teaching assistants via structured ADFs, while the dependent variable was the students’ levels of CTS as measured by two different evaluations: (a) the California Critical Thinking Skills Test, to holistically examine students’ gains in their CTS, and (b) the Coding Scheme for Evaluating Critical Thinking in Computer Conferencing, to investigate students’ interaction patterns and the depth of their critical thinking (CT) demonstrated via the ADF. The evaluation data were collected from 278 college students in Taiwan. The qualitative analysis provided a detailed description of how students’ discussions moved from the lower to the higher phases of CT. Results indicated that an inspired instructor and some energetic teaching assistants who use Socratic dialogues during small-group online discussions can successfully develop students’ CTS in a large university class. The funding for this research was provided by the National Science Council of Taiwan, ROC under Grant NSC92-2520-S006-001. We extend our special thanks to National Cheng Kung University (NCKU) for supporting us through a free and reliable e-learning system to make this study a success. The Academic Affairs Division of NCKU has selected this course as having the best design and implementation of an e-learning course in 2004.